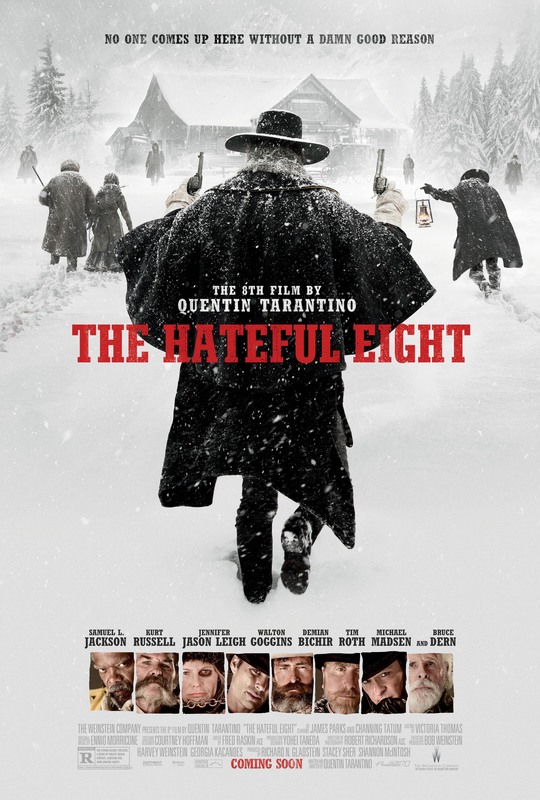 What we get with The Hateful Eight is essentially a westernization of the sharp set-up of Reservoir Dogs. Quentin Tarantino’s latest film uses heavy dialogue, a single location, and the racial friction and divisiveness of the post-Civil War era to build tension and create a truly white-knuckle experience. The politics of the film transcend their time period and help make one of Tarantino’s most relevant and intelligent points on race relations. Hilarious, surprising, bloody, and wholly entertaining, Tarantino has created another strong addition to his body of work. Adam McKay surprised audiences last year by following the string of rather crude, but effective, comedies he’s known for (Anchorman, Step Brothers) with a maturely directed tragicomedy focusing on the small group of individuals who would go on to predict the collapse of the world economy. Even more surprisingly, the success of the film earned it five Academy Award nominations and a win in the category of Best Adapted Screenplay. 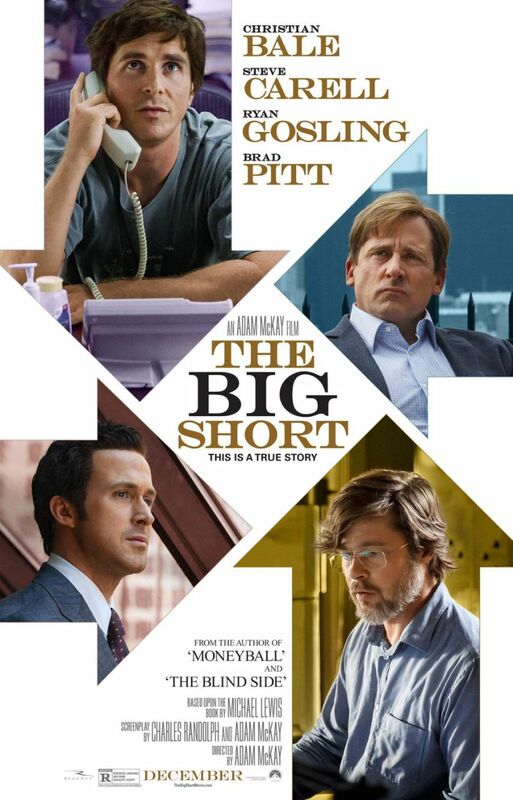 Next to only a few 2015 releases, The Big Short is structured and organized by an innovative form of absurdist, almost Adult Swim inspired editing — the chaos of which, grounded in the realism of the earnest and calamitous narrative, allows for an informative and true-to-life story to be portrayed in the most engaging way possible. 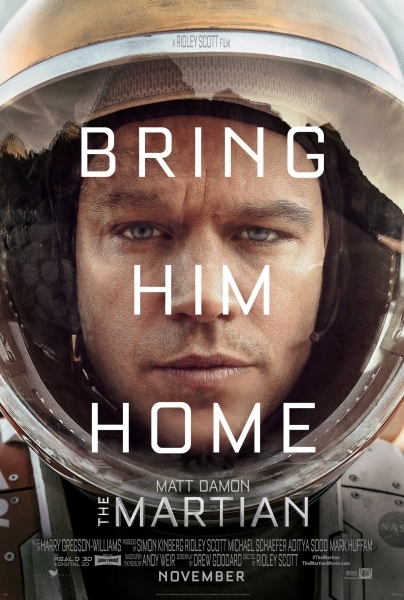 The Martian tells the story of a deadly-serious space rescue mission — one that encounters insuperable obstacles, one after another. But despite the constant peril, the film successfully makes its audience laugh from start to finish. With no true villain to drive this story, the movie firmly plants itself in the archetype of man vs. nature. It spins a grounded and relatable tale of human survival, even though it takes place on another planet. The film boasts a star-studded cast, and every actor shines in their own way, as each character plays an important role in bringing home the stranded botanist, Watney. It’s not easy for a film to pull off an ensemble cast, but Ridley Scott does so brilliantly. By routinely distancing the viewer from the subject matter, Charlie Kaufman defines the interior of his characters with the kind of depth rarely seen in film. In his latest feature, Kaufman brings us Michael Stone. In a body of work littered with unlikable protagonists, Stone is easily the most irredeemable and his most damning trait is his lack of human identification. He literally sees the people in the world around him as the same, displaying an aspect of arrogance so entrenched and enveloping that it would make Kanye West blush. But Kaufman presents Stone, warts and all, without alienating the viewer. 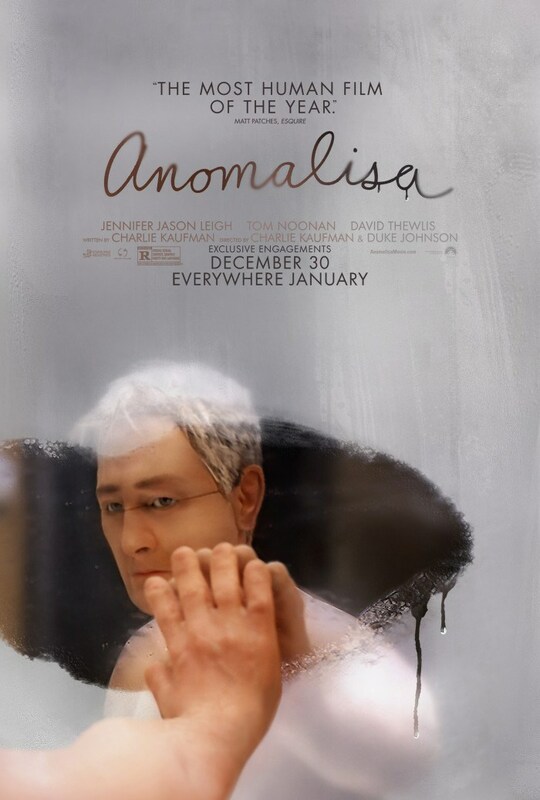 If the one constant in Kaufman’s career is his unflinching depiction of humanity, Anomalisa fits in beautifully — a work so achingly human that you forget that you are watching puppets. 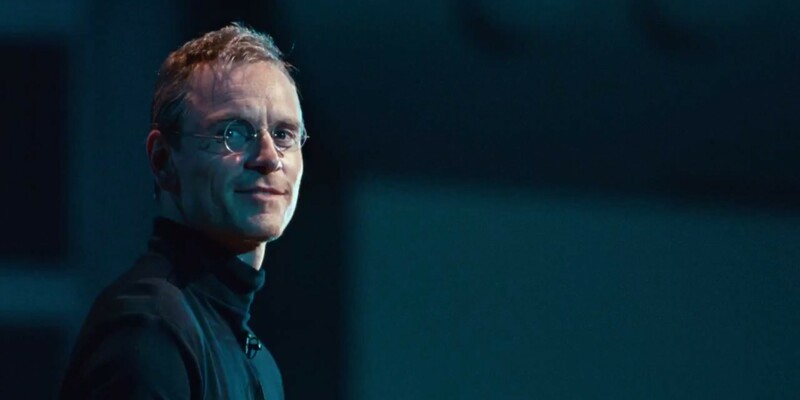 Fueled by an excellent screenplay by Aaron Sorkin, Steve Jobs is an exercise in unconventional biopic filmmaking. Framed by three important presentations in the career of the titular Jobs, the film brilliantly creates tension and intrigue through only its conversations and character dynamics. Michael Fassbender does some of his best work in years, creating a complex and interesting character (which Ashton Kutcher struggled to do with Jobs two years prior). The rest of the cast is fantastic as well, featuring incredible performances from Kate Winslet, Jeff Daniels and Seth Rogen. Combine all this with Danny Boyle’s fantastic direction, and you have a film that easily surpasses any biopic made in 2015. 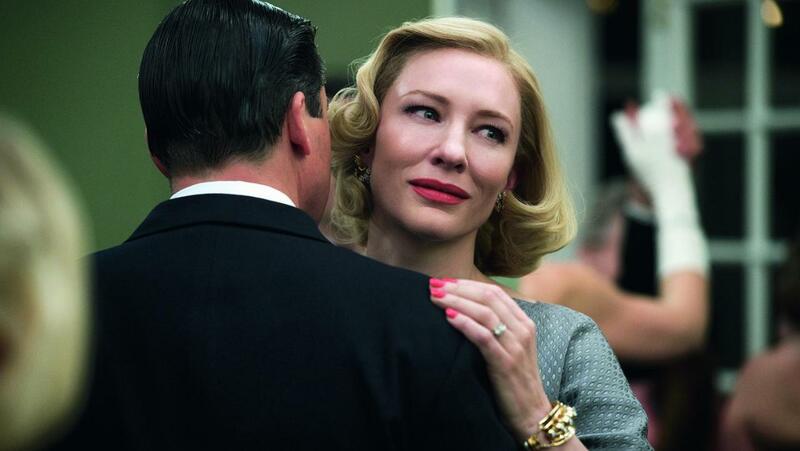 Love has never been handled as delicately on film as it was this year in Todd Haynes’s Carol. Graced with stunning performances by both Cate Blanchett and Rooney Mara, all of the emotion in this film is realized through subtlety — the way in which a shoulder is grabbed and later caressed, a backwards glance in a crowded department store, a quiet and contemplative shared car ride. When initially viewed, the film seemingly expresses almost no sensuality through all this gesturing; but on closer inspection, these actions mean the world. Carol is an exquisite cinematic gem, not just for its breathtakingly rich cinematography, but also for its depiction of universal, non-heteronormative love. 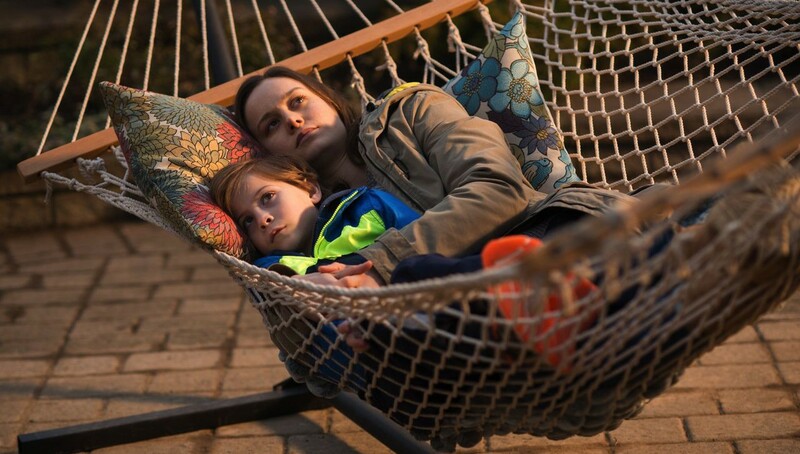 Contrary to what you might have heard, Room is a very uplifting film. Sure, it has scenes that will break your heart and others that will deplete your body of adrenaline. Sure, its two lead performances will tear at your emotions. Sure, you may leave the theater depressed. But soon after, you’ll realize that you were able to leave the theater. That you were able to talk about the movie with other people. That you are able to do everything the lead characters couldn’t. Room might destroy you, but it has the power to rebuild you, stronger than before. Not since Steven Soderbergh’s Traffic has a film so effectively addressed the complex and unconquerable nature of the War on Drugs. Denis Villeneuve’s Sicario follows FBI agent Kate Macer (Emily Blunt) after she is enlisted to assist in a covert operation across the border in Mexico, the details of which have mostly been kept from her. As the film progresses, Macer struggles with the repression of her voice in a patriarchal system and comes to understand that her situation is much murkier than she originally imagined; she’s at the collision point of right and wrong, good and evil. Beyond its political significance and profound realism, what sets the film apart on a technical level is Johann Johannsson’s frightening score and Roger Deakins’ innovative cinematography, which combine to create an atmosphere of undeniable suspense. 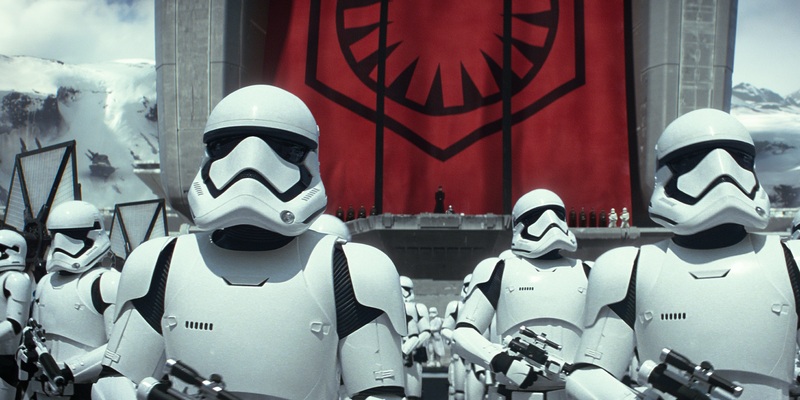 I would be lying if I said that Star Wars: The Force Awakens is — frame-by-frame — the most well-made film of the year, but it was certainly my favorite. Few films can make everyone stop what they’re doing and turn the release into an event of great magnitude. With wonderful performances from the new cast and the surreal pleasure of seeing familiar faces like Harrison Ford return, the film is actually emotionally driven (unlike the prequels). The gorgeous, tangible scenery shot on 35mm mixed with special and practical effects makes this a moment in cinema history to remember. As the opening credits roll, it’s as if I become a child again, and the only thing that matters is stopping the Empire. Ex Machina follows a programmer named Caleb (Domhnall Gleeson) who gets the opportunity to work with Nathan (Oscar Isaac), a world-renowned scientist whose revolutionary AI is far more than it appears. 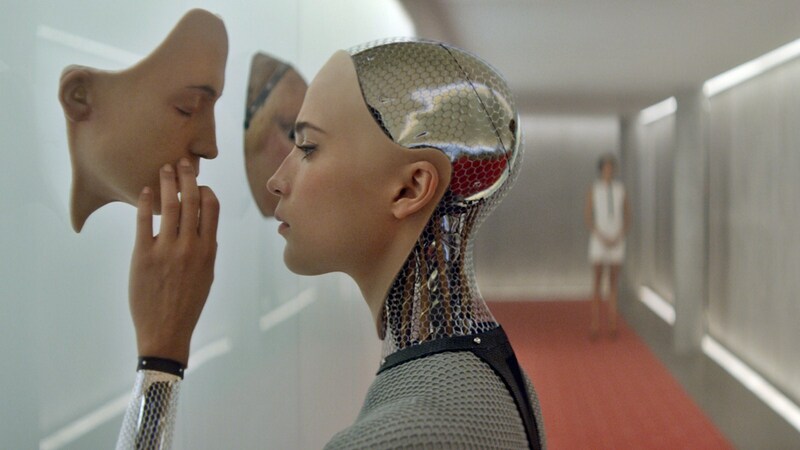 The film causes its audience to question what makes one human through the humanoid robot, Ava (Alicia Vikander). Thanks to the seamless use of CGI and an eerie performance by Alicia Vikander, Ava blends human and robotic qualities to the point of making us wonder whether she is more human or machine. Meanwhile, both main characters scheme against each other throughout and Gleeson and Isaac’s amazing performances really hammer in the paranoia. The soundtrack, composed of droning noises and electronic music, contributes to the ominous atmosphere as the film unravels the secrets of Nathan’s experiments. It’s a suspenseful and pulse-pounding experience. Inside Out is truly a film for all ages. Pixar seems to find magic everywhere — even in one’s emotions. This movie is at times funny, sad, and enlightening, as it finds the whimsy, wonder, and power of the emotions inside all of us. It has all the heart that one would expect from a Pixar movie, but there is something more. The filmmakers have researched the complex psychology of the mind and it shows. 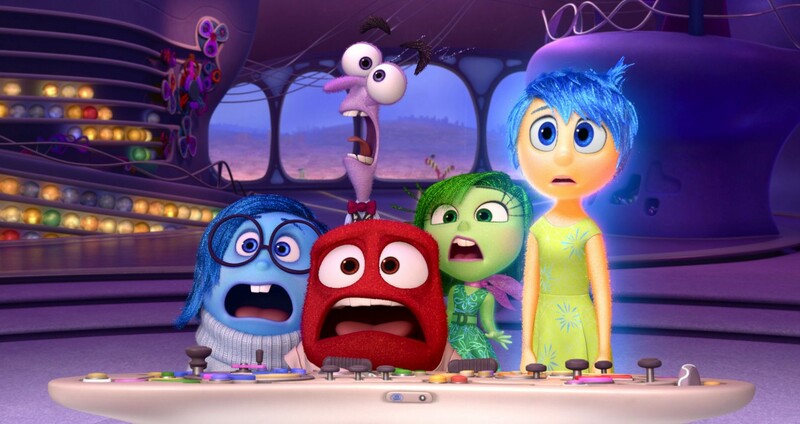 Watch Inside Out and emotions will take on a whole new meaning. If it wasn’t for The Big Short, Spotlight would far and away be the most “important” film of the year. With uncompromising direction from Tom McCarthy, it tells the tale of a team of journalists uncovering one of the largest scandals in modern history — the molestation of children by priests in the Catholic Church. What makes the film so riveting is its dedication to telling the story in a realistic way. The screenplay is full of rock solid, sobering dialogue that doesn’t revel in romanticizing the truth; it just focuses on delivering the facts. 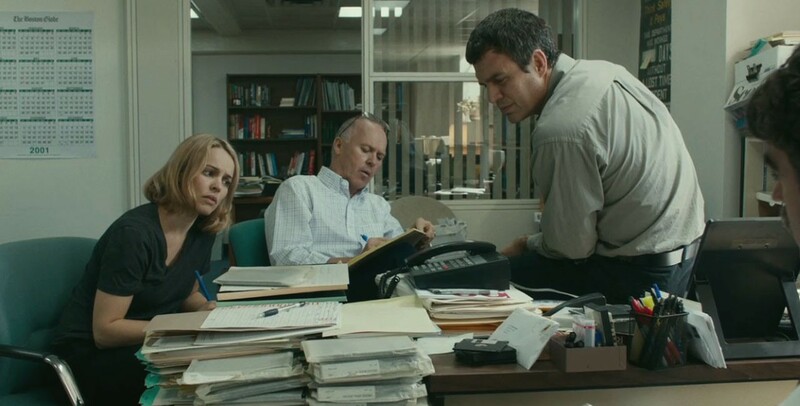 Sold by a fantastic ensemble, Spotlight slowly unveils its hand in devastating fashion, ultimately making a profound, haunting impact on the viewer’s psyche. In the dictionary next to the word “auteur,” there ought to be a picture of Alejandro González Iñárritu. The Revenant further proved the point he made in Birdman last year: If it sounds impossible, let’s try and do it. 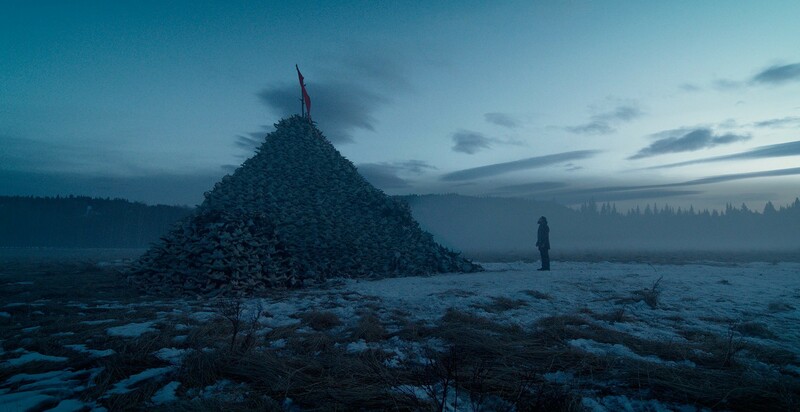 He shot on location in Canada for very few hours a day due to the short supply of daylight, got the star of the film to eat raw Bison liver, and accomplished many other feats I don’t have the space to write about. But beyond the contributions of a star director and cinematographer (Emmanuel Lubezki), the film has a star-studded cast headed by Leonardo DiCaprio, Tom Hardy, and Domhnall Gleeson, who all play their parts masterfully. In closing, this movie is going to be one of the classics of our generation — go watch it if you haven’t seen it yet. Few films have made me more fiercely fanatical than Mad Max: Fury Road did last year. Beyond all the buzz about practical effects and seamless world-building, the thing that really gets me about this masterwork is George Miller’s surprisingly coherent sense of organization. Every shot counts. The director tells a simple (but not simplistic!) tale of insanity and redemption through streamlined visual storytelling and despite the frenzied nature of any given scene’s various moving pieces, he somehow manages to fluidly articulate every characters’ movements, motivations and inner conflicts. To put it more simply, the film plays out with the detailed progression of a graphic novel. And that’s not even mentioning the eye-popping, oversaturated cinematography, the unapologetically weird side characters and the intensely bombastic action. A glorious spectacle and a vivid realization of a world that is vast, imaginative and folklorically mysterious. What a lovely day, indeed! Tags: Austin Gold, Byron Bixler, Eli Hayes, Elizabeth Esten, Erica Noboa, Haley Goetz, Jacob Sullivan, Joel Kalow, John Lunden, Jon Roberts, Justin Madore, Kayla Hurowitz, Mikayla Mislak, Susie Brancaccio. Bookmark the permalink.